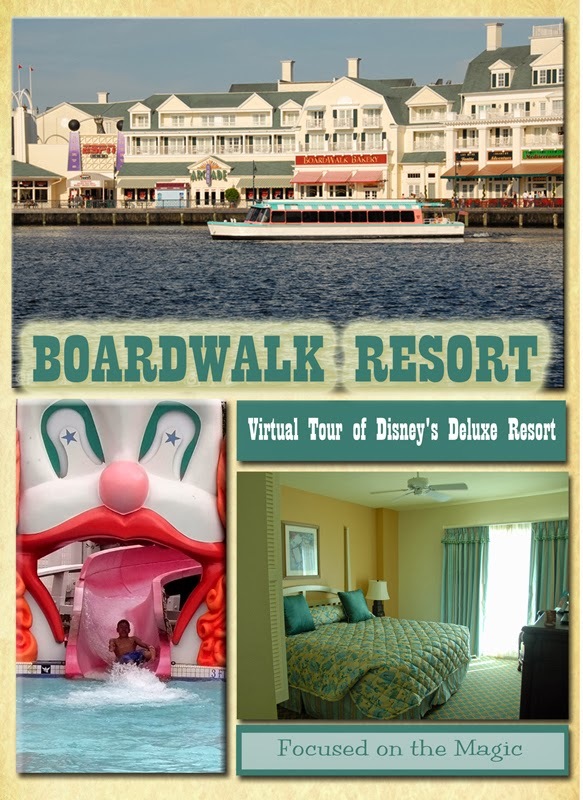 Today we are taking a virtual tour of Walt Disney World Deluxe Resorts and I get to discuss my favorite, Disney's BoardWalk Resort. 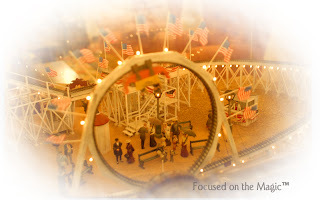 Escape the fast pace of the theme park and relax in the old fashioned charm of a 1930's Mid-Atlantic New England style seaside resort. The BoardWalk Resort is nestled on a 25 acre lake within walking distance to Epcot or Disney's Hollywood Studios. 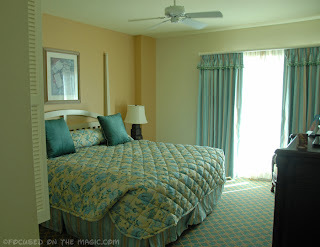 Resort: There are two deluxe resorts in the BoardWalk village complex, The BoardWalk Inn (378 rooms) and The Disney Vacation Club Boardwalk Villas (383 rooms). There is also a 20,000 square foot conference center. The lobby has overstuffed chintz couches and chairs, a fireplace, crystal chandeliers and decor from the era. 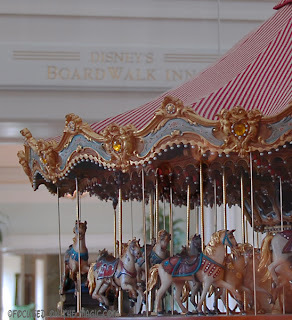 A vintage carousel, decorator pieces and a roller coaster add a bit of whimsy to the otherwise high brow atmosphere in the lobby. The 1930-40's seaside resort theme is carried out throughout the resort and onto the covered porches with wicker rockers of all sizes. 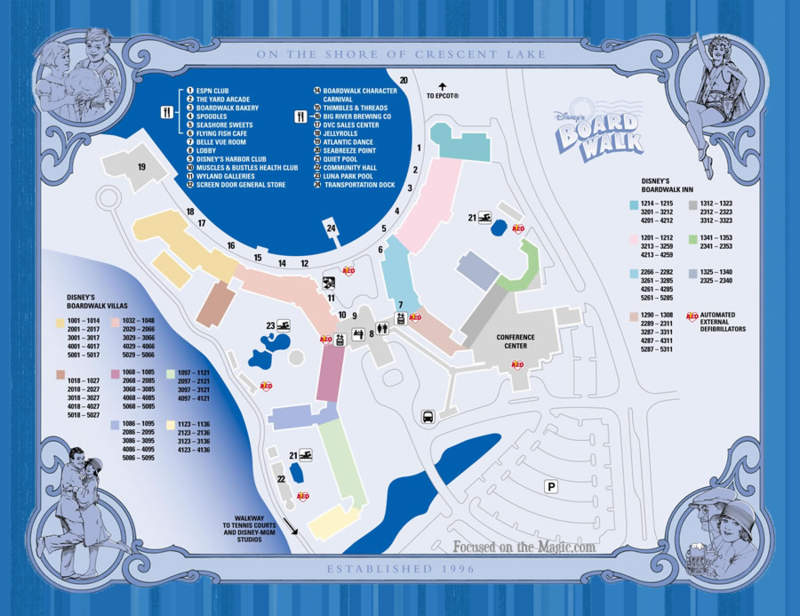 Circling Crescent Lake is the boardwalk entertainment area. To really appreciate The BoardWalk you need to spend some time here after the sun goes down. 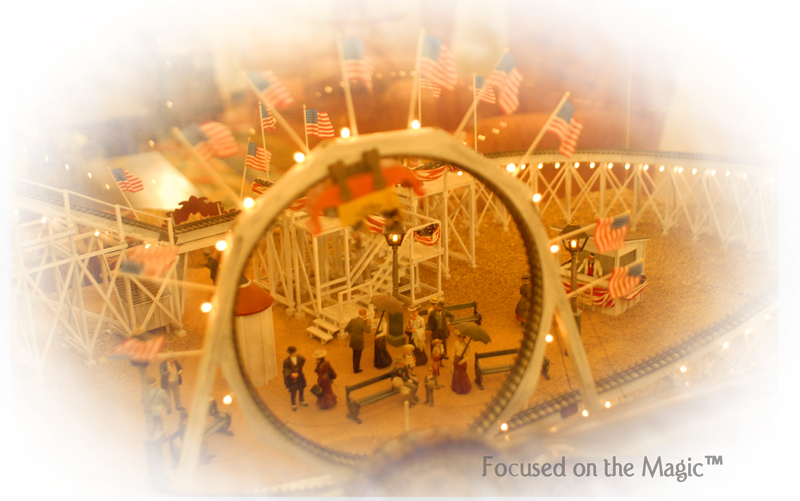 The sound of ragtime music and the smell of funnel cakes drift through the air. Buses whisk you away to the parks and Downtown Disney and Friendship boats travel every 20 minutes to Disney's Hollywood Studios or Epcot. 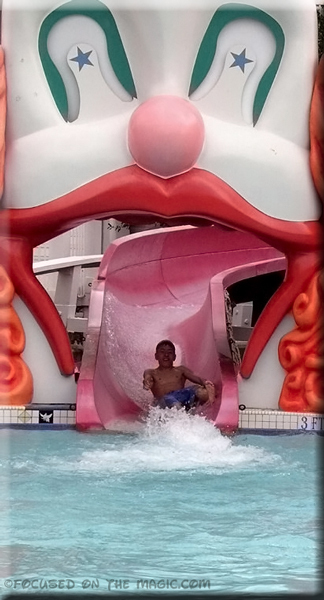 When it's time for a swim head over to the popular Luna Park pool or slide your way down the 200-foot Keister Coaster water slide. Children will enjoy the Dumbo sprinkler and water play area. Adults will enjoy a dip in one of the quiet pools. Work out on state-of-the-art exercise equipment, at Muscles & Bustles Health Club or try a relaxing massage. Play a variety of video games at Side Show Games or at The ESPN Club. 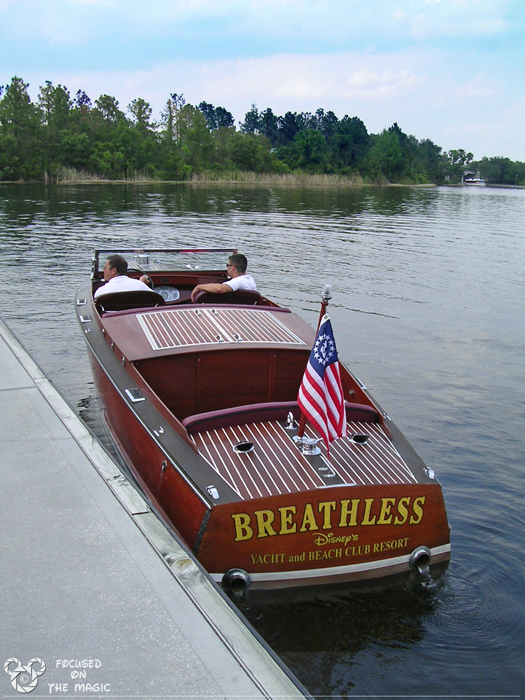 Spend some quality family time cruising the lake in a Pontoon Boat, Canopy Boat or a WaterMouse™. "Breathless", a restored 1930's mahogany Chris Craft is currently in drydock. 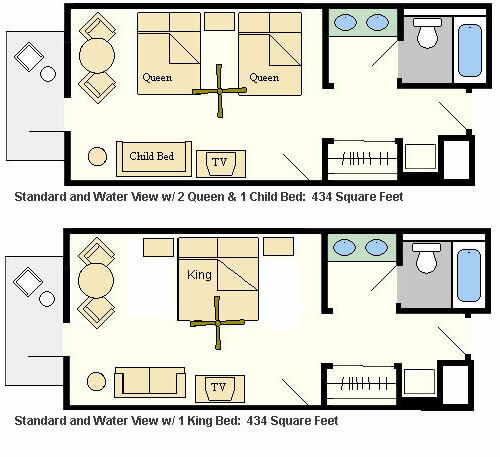 Check with Guest Services for availability. Rent a bicycle or a surrey and ride along the lake. Catch and release fishing trips are fun for the whole family. Hit the courts for a little tennis. Racquets and balls are available at no additional charge. Take a scenic run around Crescent Lake - a loop of approximately .8 miles. Enjoy a night out at Dueling Pianos or Atlantic Dance. The BoardWalk Inn's Belle Vue Lounge, a quiet get away, offers a full service bar at night. A continental grab and go breakfast is available with a refillable mug station in the morning. Celebrity chef Cat Cora's restaurant, Kouzzina serves Mediterranean cuisine for breakfast and dinner. The Pizza Window serves the best pizza on property. ESPN Club is a full service restaurant with a 100 televisions (including those in the restrooms) and a giant 108 square foot screen featuring a variety of sports at any one time. The BoardWalk Bakery serves breakfast, lunch and dinner and is the Quick Service restaurant for the resort. Big River Brewing & Grilling Works features it's own brewed beer and full service menu. No ADRs are necessary. Flying Fish Cafe offers dinners nightly and a new prix fixe menu. Seashore Sweets is the place to go for ice cream and salt water taffy. The Screen Door offers liquor, groceries, Disney themed merchandise, pins and souvenirs. Thimbles & Threads has ladies, children and infant clothing, Disney toys and souvenirs. The Wyland Galleries is an art gallery, featuring internationally renowned artists. 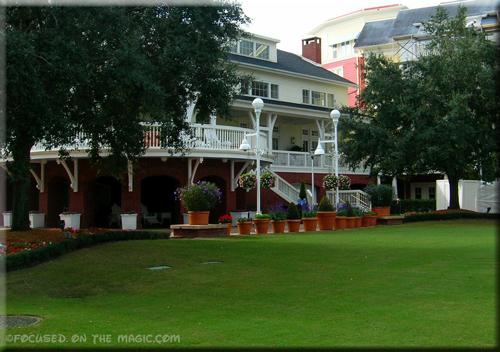 The BoardWalk Resort has been our DVC home resort since 1997. 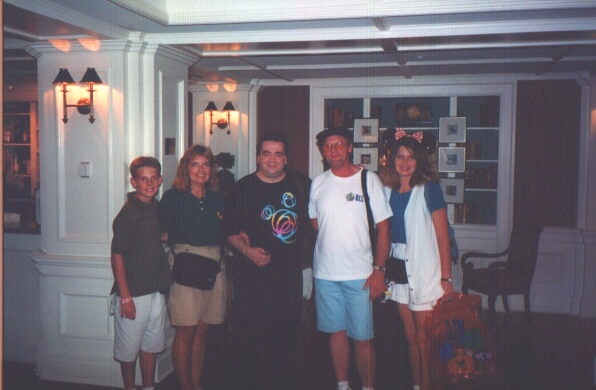 My family has many happy memories of our visits there. Give it a try, you won't be disappointed! 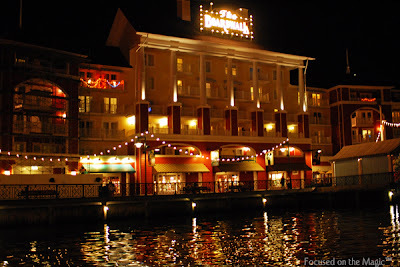 I would love to stay here, though I think being in such proximity to the Boardwalk Bakery may be a little dangerous! I love walking along the Boardwalk and certainly would love being able to stroll into World Showcase anytime! By the way, I love the look of your new header on your site! We definitely have to visit the Boardwalk at night - we always seem to visit during the day and there just isn't as much appeal. LOL! You are too funny! I don't think anyone turning 29 should feel like Carl!! It is very quiet during the day. Night time is when all the performers come out. It's such a nice boat ride or walk from Epcot or DHS. Love staying here and getting a Boardwalk View. So much fun to just watch everyone stroll by. I adore the Boardwalk! 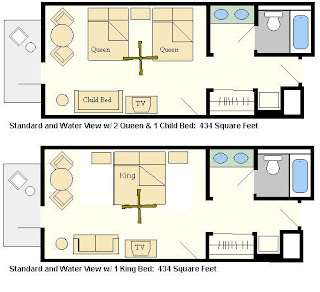 I've heard it's not the best place to stay, but we almost always visit! Ahhh, so many wonderful memories were made here. I remember staying at the Yacht Club, and watching them dredge the area for Crescent Lake while the Boardwalk facade was being created. As expected, your photos beautifully capture this resort Deb!